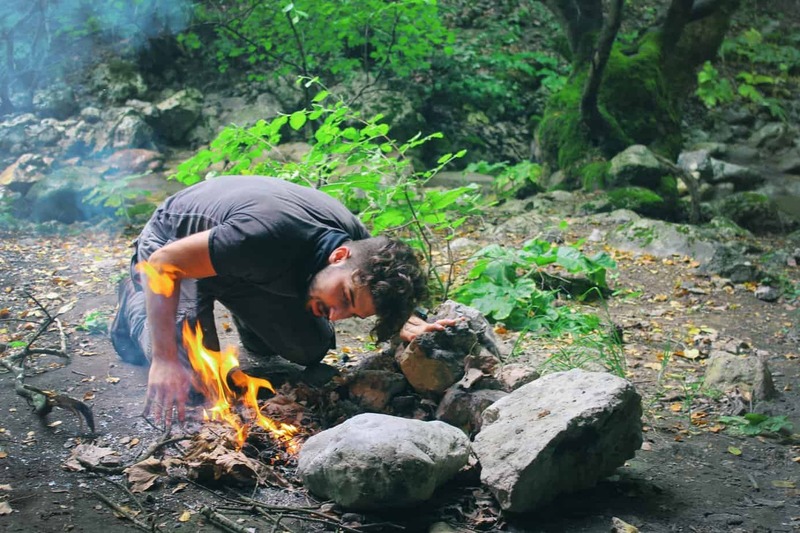 When it comes to backpacking, camping, or just an extended hiking adventure, the proper gear is not only important but critical to safety, survival, and comfort. On top of that gear-list, understandably, is where you’ll be sleeping, a tent. 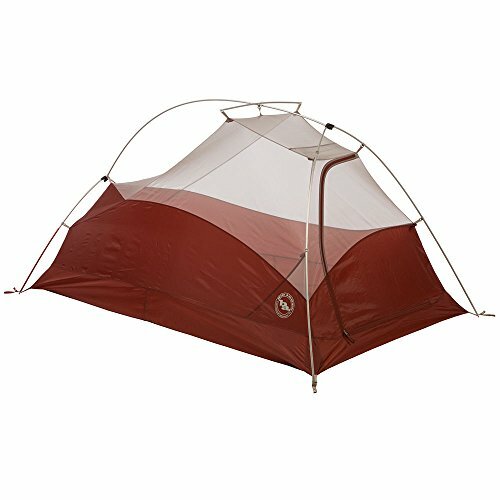 Which tent do you buy? Do you want small and compact, or large and comfy? What weather conditions will you be expecting? Are you traveling alone, with friends, or as a family? All of these questions may seem daunting like they’re coming from the overprotective mother, but they’re genuine concerns when it comes to finding the perfect tent. Big Agnes has always manufactured some of the best products available, especially pertaining to their extensive collection of tents, and we’re here to help you choose the perfect one for your next adventure. Here are the best Big Agnes tents to try in 2018. Choosing the best tent can already be a challenging task but to the backpacking community, where weight is the ultimate enemy, this decision takes time and research. Ask any avid backpacker how heavy a pack can get after days on the trail and one might understand their dilemma. Big Agnes understands and, with these great options, they also deliver. 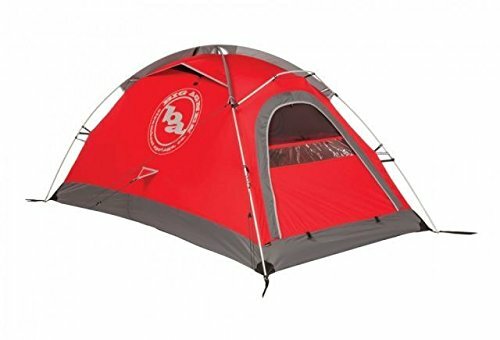 The first product on our list is the CBAR 2-person tent, a more than suitable and cost-friendly choice for both new and experienced backpackers. This model is designed to be both spacious and technical and doesn’t sacrifice strength and durability to do so. The single front entry door is more than enough to get in and out comfortably and, speaking of the entry, comes with an attached vestibule for gear storage. The vestibule offers ample space but the ceiling pocket is nicely over-sized for even more storage options. Fill it with snacks, fishing gear, toys for the kids, the sky’s the limit. The CBAR design weighs in at an impressive 3 pounds, 9 ounces, an acceptable weight in any backpacker community. Maybe more impressive than its weight are its dimensions when fully packed down, just 6” x 19” overall. It’s not the smallest or lightest on the market by any means, but it is small and light on the wallet, all while offering dependable durability and a roomy interior. Designed for easy back-country living, the Copper Hotel HV may be just what the ultimate backpacker is looking for. The large entrance-way comes equipped with a large vestibule, providing suitable shade and protection from most elements. The high volume hub maximizes strength and increases space without adding weight, thus making it more than large enough for two or three people, although the roomy interior and lightweight may attract even lone backpackers. The Copper Hotel isn’t the lightest on our list but it still weighs in at under 3.5 pounds, another impressive weight to both experienced and inexperienced backpackers alike. The dimensions, much like its weight, make this design easy to carry, set-up, and relax. 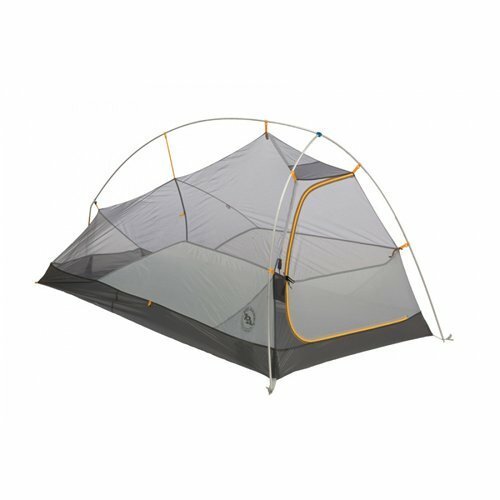 Like the first tent on our list, it packs down to just 6” x 19”. You’ll be cooking hot-dogs and gazing at the stars with plenty of room to spare. For the extreme backpacker where minimal weight is not only optimum but mandatory, look no further than the Fly Creek HV1, the lightest tent on our list. This tent and its award-winning design offer the comfort of steep walls and sufficient headspace while offering a product that weighs less than 2 pounds when packed. This, in essence, is the true spirit of backpacking gear. Enough space to get cozy under the stars and reduced weight that won’t leave your back in shambles. The Fly Creek weighs just 1.13 pounds when packed and an astonishing 1.7 pounds on the trail, not to leave out the small packed size of 4” x 15”. The floor area of 20 square feet and 39 inches of head height might have you scratching your heads as to why it’s so light. 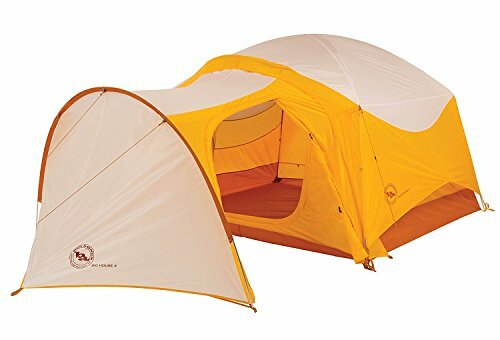 This, like most backpacking tents, is a 3 season tent. While some people just can’t get over the freedom of the open trail, like the persistent backpacker, others dread it or at least prefer more comfort. These kinds of people are the ones that can be found camping around their cars or, in general, in over-sized tents. There’s nothing wrong with this kind of camping. 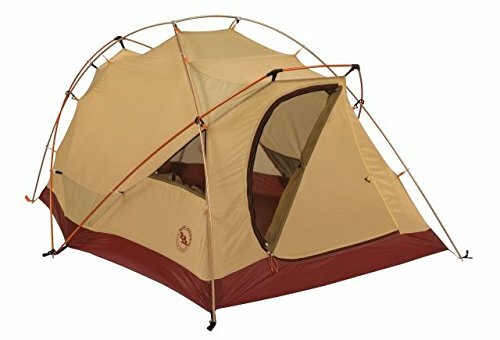 In fact, a lot of people prefer it, but try getting comfortable in a small, ultra-light tent for more than a couple days. You’ll soon realize you should have bought a tent more suitable for such a situation, like the ones below. The Battle Mountain 2-person tent is a 4 season design with plenty of interior room for all your gear storing needs and, of course, a lot of room to stretch after a day of adventuring. It is lightweight but durable, flexible yet strong, and offers protection from even the most brutal back-country conditions. As expected with greater comfort and space, along with much more storage outlets, the Battle Mountain and other similar tents weigh much more than smaller options. This one weighs in at just over 7 pounds but, surprisingly, still packs tight, 16” x 20” to be exact. The floor boasts an impressively large area of 30.5 square feet and a head height of 42 inches. 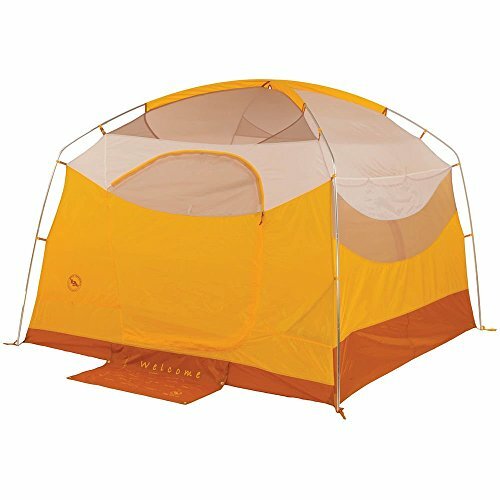 The Big House line of tents is known for its robust size and space, making it one of the largest on our list. Although some models come in even greater sizes, the Big House 4 might be just enough extra space without too much added weight. The Big House line is intended for 3-season use. The weight of the Big House 4 is high, at around 8.4 pounds, but that’s not so terrible when one accounts for its massive floor area of 56 square feet and 60-inch head height. You could, theoretically, river dance in this thing. It’s that big. Perfect for families, athletes, and those adventure-seekers who just don’t like feeling too cramped. If the Big House 4 isn’t quite large enough for your taste, or your needs, then perhaps the Big House 6 Deluxe would better suit you. Compared to the 4, the 6 Deluxe is a monster and the biggest tent on our list. It isn’t just big but practical, loaded with all kinds of useful features that can only add to the fun and excitement people crave. First things first, this tent isn’t light. At all. That doesn’t, however, mean it’s hard to lug around. The opposite, actually, because this 13.11-pound tent comes with a briefcase-style carrying bag with shoulder straps to help with some of the weight. It’s a massive floor area of 75 square feet and 78 inches of head height make it feel more like a studio apartment with a breeze than a tent. And all rent free. Backpacking and base-camping are great options for any adventure-seeker but to extreme thrill-seekers, like the brave mountaineer, some tents just won’t cut it. A 3-season tent, for example, might spell disaster if a mountain junkie was to bring it along for shelter. Unless their mountain adventures involve small peaks, a 4-season set-up is crucial. See the options below for more details. The Shield 2, first on our mountaineering tent list, is strong, durable, and designed to withstand forces from all 4 seasons. 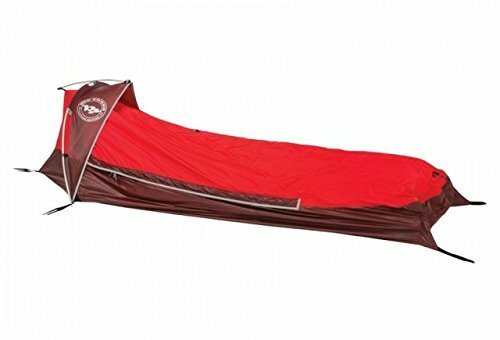 Built using lightweight yet dependable material, this tent is made for all occasions, from an exhausting trip up a tall mountain to a relaxing day-hike along a windy river. While not as light as backpacking packs the Shield 2 still packs a punch and does so with a weight of under 4.5 pounds. For an all-purpose, 4-season tent, that’s practically like carrying a feather, a feather that will shield you from almost every element known to man. Some people just love the great outdoors, stopping at nothing at seeing all there is to see and explore, even if some of them have to go it alone. 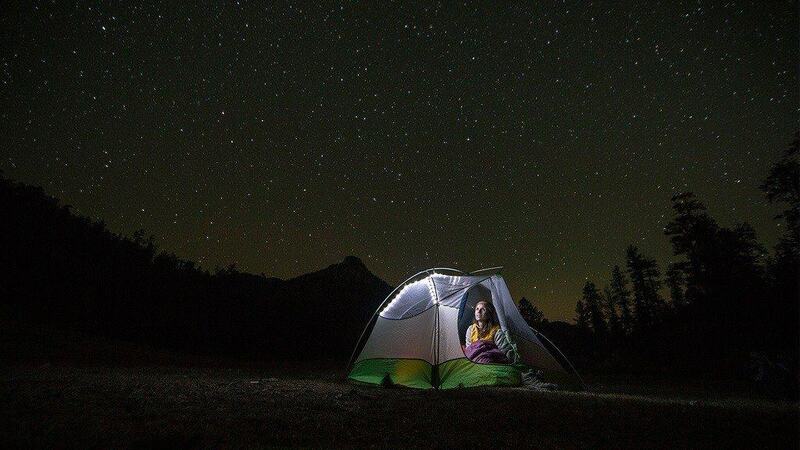 No worries, Big Agnes offers a great 1-person tent, the Three-Wire Bivy. It is highly durable, offers protection for all 4 seasons, and doesn’t hurt the wallet as much as other similar systems. The Three-wire Bivy, although small and compact, only comes in second as far as weight goes. Not by much, though. 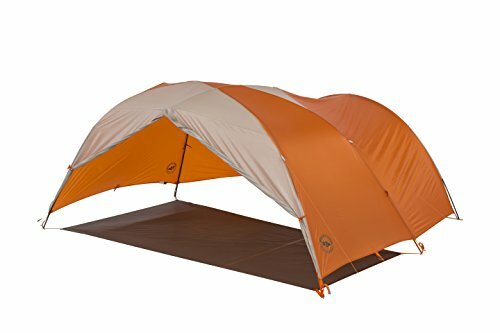 Weighing in at a packed weight of 1.14 pounds, it’s still surprisingly lightweight, especially for a 4-season tent. The floor area of 17 square feet offers enough room for sleep and a bit of space for your gear but, unfortunately, not much else. This is, after all, meant to sleep, 1 person. Reinforced stake out loops for use in skiing, ice climbing, etc. As you can see, a tent purchase shouldn’t be taken lightly, as there is a whole galaxy of options to choose from. From backpacking and mountaineering, where you’ll need the strongest materials and support tents can offer, to general family and basecamping where bigger is always better, you can see the spectrum and uses vary widely. But, with enough research and dedication, one can buy the ultimate gear they need to conquer even the toughest trails and peaks, or lounge about and enjoy the great outdoors.